Will Gov. Schwarzenegger be green? 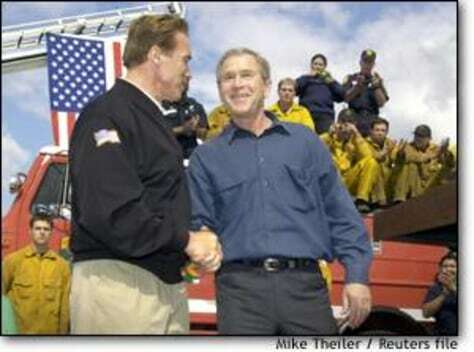 President Bush and California Gov.-elect Arnold Schwarzenegger shake hands during the president's Nov. 4 visit to Southern California to inspect wildfire destruction.